Camera startup Lytro is announcing $40 million in new funding that it said will help it move faster and reach its broader goals of reshaping photography. The round of funding is being led by new investor North Bridge Venture Partners, with existing backers Andreessen Horowitz, New Enterprise Associates and Greylock Partners also adding to their investments. 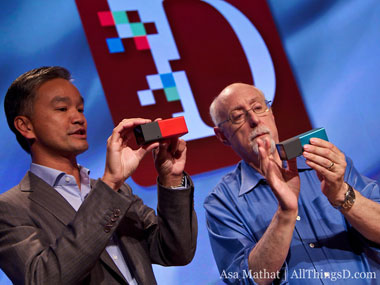 CEO Jason Rosenthal told AllThingsD that Lytro will use the money to help fund a new generation of Lytro hardware. Thus far the company has released just the single model of its light-field camera which debuted two years ago, though it has added a number of new features via software updates. Last week, for example, the company announced the ability to view 3-D images from any picture taken with a Lytro camera. Rosenthal said the company wants to move in reasonably short order into professional photography, motion picture cameras and making its existing consumer products thinner, cheaper and lighter. “We definitely won’t get to them all in 18 months, but we will get to more than one,” he said. Lytro had some job cuts and executive departures earlier this year, but Rosenthal said the company has been hiring for the last couple months as the funding round came together. The company hasn’t released sales figures, though Rosenthal insists sales this year are ahead of the company’s internal plan.